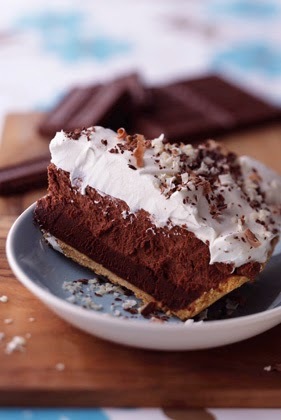 The layers of chocolate in this pie are mind-boggling. I make it for dessert whenever I have chocoholics over. Remember to start making this the day before so the pie can firm up in the fridge.